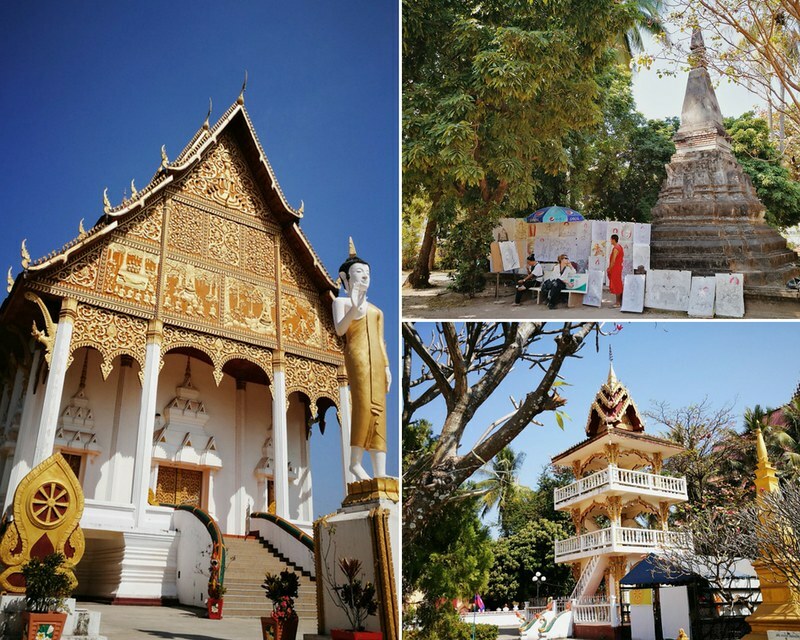 We stayed at Vientiane, Laos overnight but for less than 24 hours. We arrived in the city in the evening and also had to leave the next day before dusk to catch a flight back to Bangkok. The plan was to complete a city tour in Vientiane to visit the popular sites: Patuxai Monument, Sisaket Temple, and Pha That Luang. We hired a tuk-tuk to take us around the city because we only had half the day for the tour. The first tuk-tuk driver we spoke with couldn’t really express himself well in English but his other friend was better at the language and helped him out. We also asked the driver to stop by the bus terminal first so we can buy our tickets back to Udon Thani, Thailand. Apparently, Laos has been a French colony. The Patuxai monument is one of the most prominent landmarks in the heart of Vientiane city and it symbolizes the struggle of those who fought for independence from France many years ago. This explains the resemblance of the Patuxai Arch to the Arc de Triomphe in Paris. 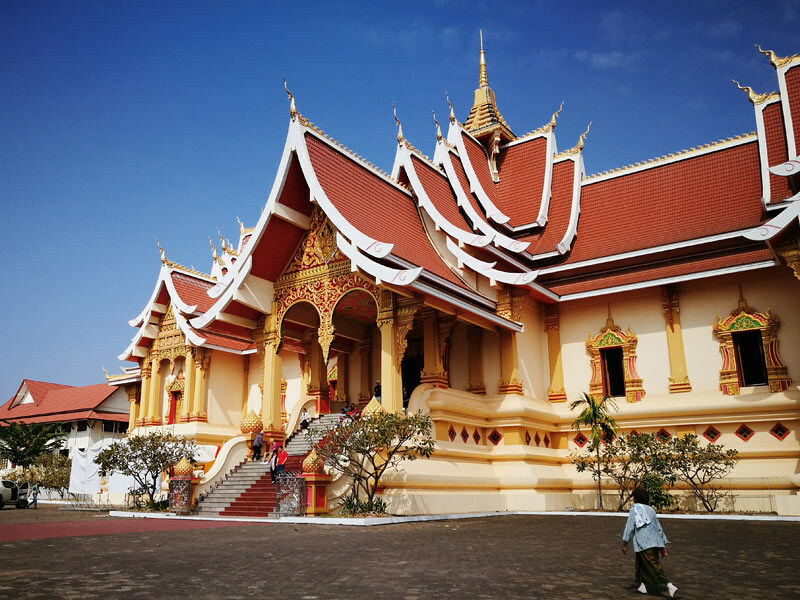 Lao structures are generally decorated with many Buddhist mythological characters however, the architecture is very similar to that of the French. The monument has five towers and you can climb the upper floors to view the museum for a minimal fee. Beside the monument is a garden and a park with musical fountains. When to visit: Patuxai is open daily from 8 AM to 4:30 PM on Mondays to Fridays and 8 AM to 5 PM on Saturdays and Sundays. This is the oldest temple in Vientiane that wasn’t rebuilt since the invasion of Siam. During the invasion, the whole city of Vientiane was ravaged and the other temples needed to be rebuilt several times. Sisaket Temple was the only structure that survived. Up to this day, Sisaket has only undergone 2 restorations. It has retained its original appearance since the time it was first built. 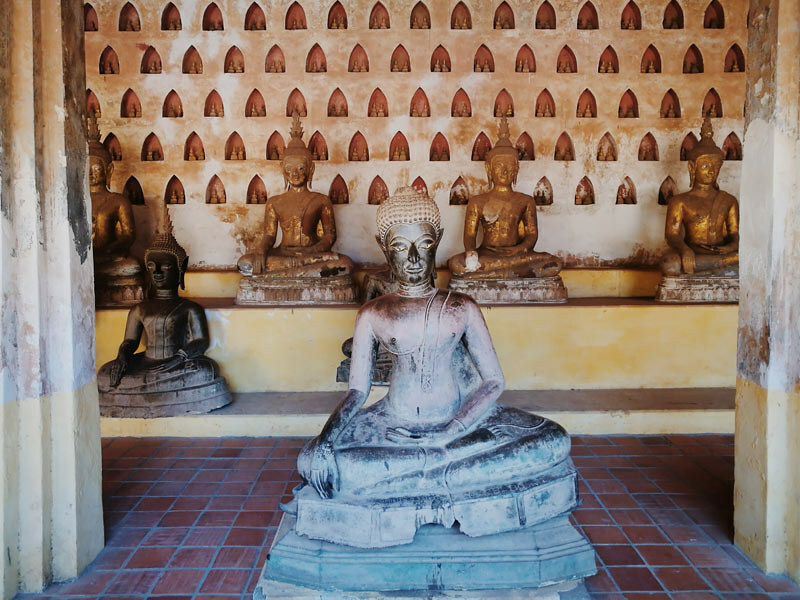 Sisaket houses thousands of Buddha statues in their galleries. These statues are either wall-mounted or placed on shelves at different levels inside the temple gates. Like all the other temples, Sisaket requires its visitors to wear the appropriate clothing while inside its premises. Sleeved shirts, long skirts, and pants are okay. In case you come here unprepared, you can rent a Lao traditional skirt at the entrance. When to visit: The temple is open daily from 8 AM to 4 PM. Note that they also close for lunch from 12 PM to 1 PM. 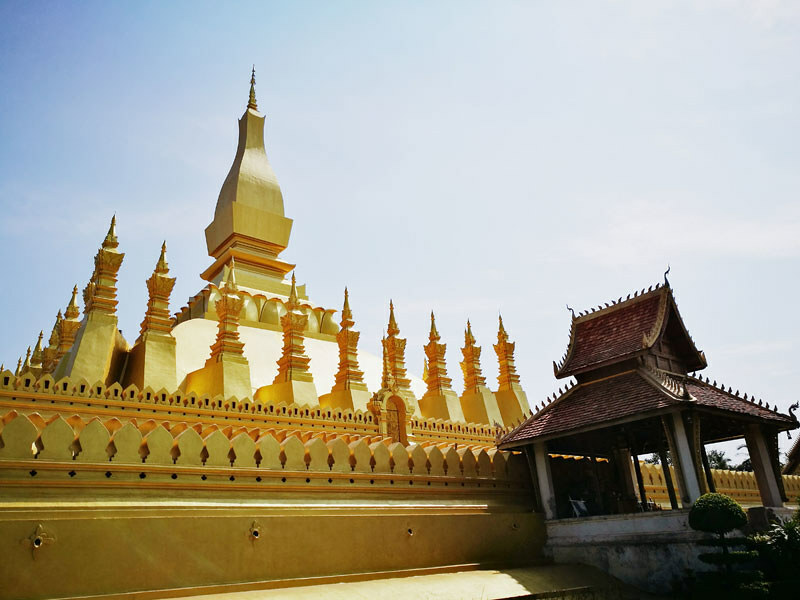 The Buddhist shrine of Pha That Luang stands majestically covered in gold. Would you believe that it was covered with several hundred kilos of gold leaf combined with other precious metals to achieve its impressive golden color? It’s a real sight to behold. When to visit: Open daily from 8 AM to 4 PM. They close for lunch from 12 PM to 1 PM. A few meters away from Pha That Luang is Wat Neua Thatluang, a Thai-style palace that is equally impressive. The building facade alone is amazing especially at noon or when the sun is casting its light directly on the palace doors. Beside our hostel is Easy Bar, a resto-pub owned by a very cool guy called Mohammed. The place is hard to miss because outside by the street is an old van that they have converted into a mini mobile bar. 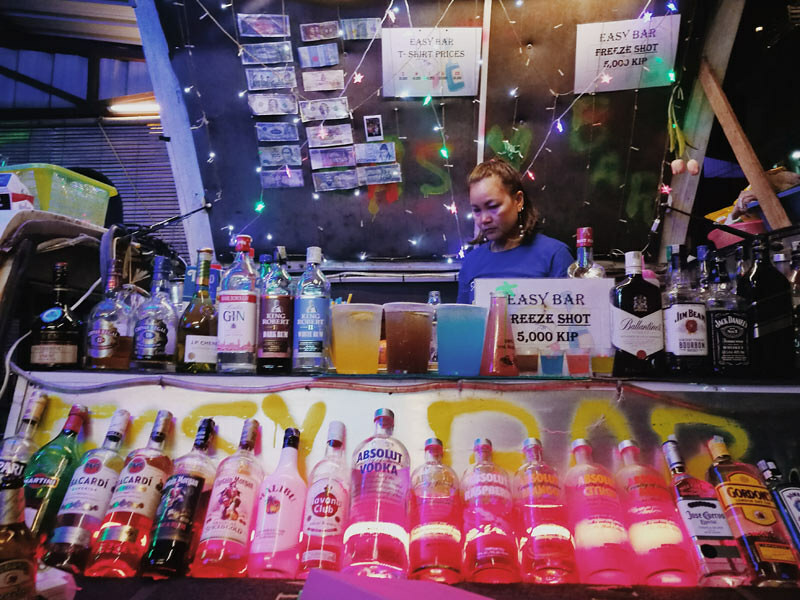 Freeze shots here cost 5,000 kip or around 30 pesos and a pitcher of flavored vodka costs 27,000 kip or when you convert, that’s only around 160 pesos! Where to stay in Vientiane? We chose to stay at a hostel in Sihome Road that was very near the central bus terminal and Patuxai Monument. 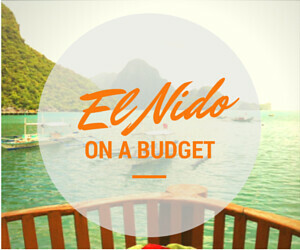 Since we were traveling on a budget, we booked a hostel online for only Php250 a night. *Click on the map marker to view details. We stayed in one room at the ground floor with a 5-person capacity. They have dorm rooms with 4 beds and other rooms can accommodate as much as 16 if you are going in groups. Our room had good air-conditioning, each bed has its own power plug, reading light and a small locker. All guests share a common bathroom that is kept clean. Their wi-fi connection though is not entirely reliable. The overnight rate at Php250 already includes a free Western breakfast selection served from 7 to 10 AM. They have huge servings of eggs, bread, banana and a choice of coffee or juice. The hostel is advertised in online booking sites as Dream Home Hostel and Swimming Pool, but the pool is actually at another building. It’s another hotel under the same name and management. Even if you are staying at the other building, you can definitely enter and take a dip in their pool. Just mention at the reception that you are a guest of the hostel. 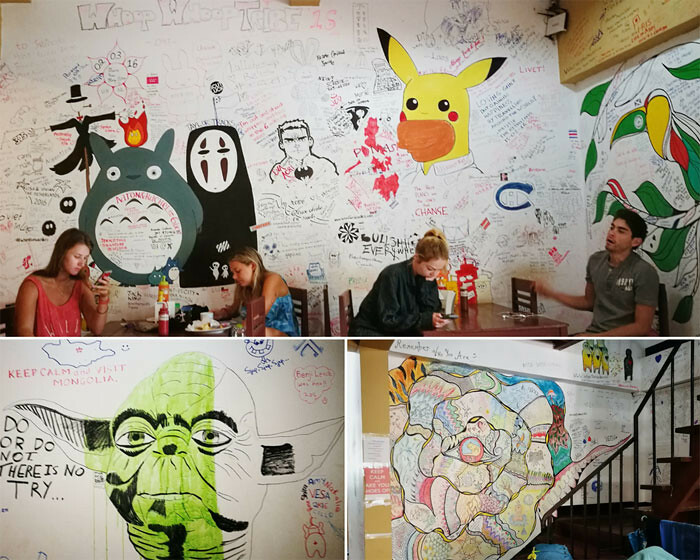 The hostel’s common areas- the patio, the dining, the lobby and the hallway walls were hand painted by the guest travelers. Some were funny sketches of their favorite characters, some wrote messages of inspiration, hope, and pain from a heartbreak, while some were proud to share where they came from. The result was an eclectic mix of art by different nationalities and culture. Dream Home Hostel is one of the most affordable hostels that we found online and to be honest, the pool was what convinced us to choose them. Unfortunately, we weren’t able to swim when we were there because of the tight schedule. There are other accommodation options in Vientiane with price ranges from Php200 and up. We booked ours ahead of the trip via an online booking site to avoid the hassle of finding a room when we arrive in the city. This saved us time and money. 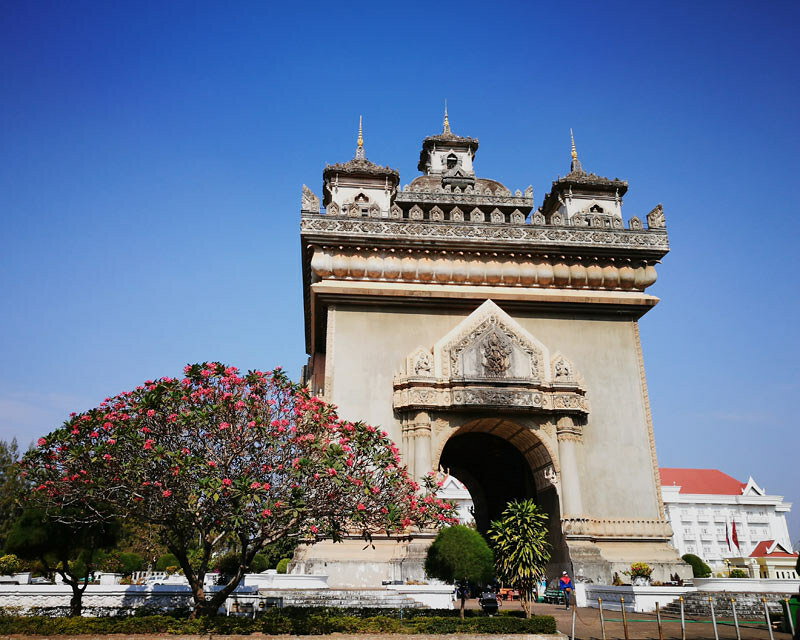 I hope you found our Vientiane itinerary helpful for your trip. Or have you been to the city recently? 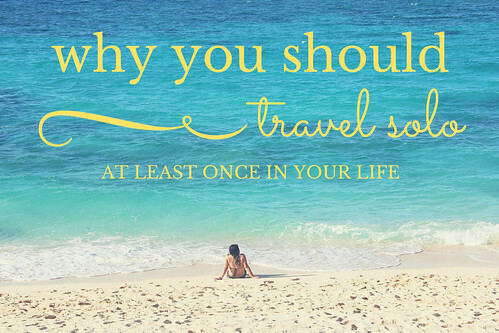 Share your experience and discoveries in the comments! If you like the post, please share by clicking on the social icons below. 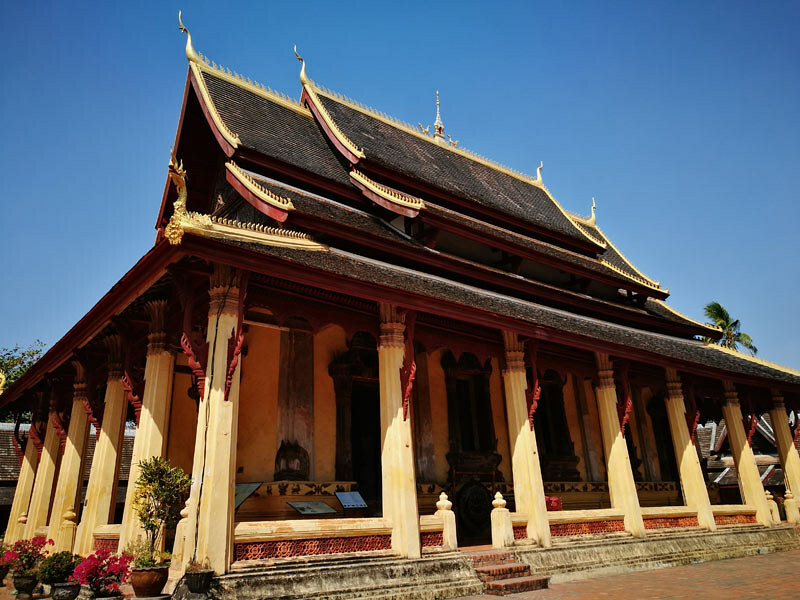 This post on Vientiane, Laos itinerary is part of our Indochina backpacking series where we traveled to Bangkok, Vientiane, Siem Reap and Ho Chi Minh. Four countries in nine days! 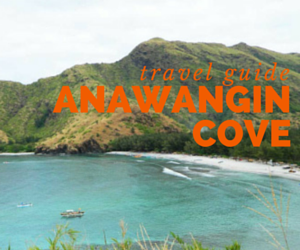 Check out our full guide to Backpacking Indochina: A Guide for Filipinos – Crossing Borders, Tips, and Itinerary. You can check out more photos on our Facebook page and Instagram.